I’m not much of a dessert person, but that doesn’t mean I don’t like my sweets. I generally crave sugar mid-afternoon which is my Pavlovian response to my 2:00 workday low. I try to keep a stash of sweets handy because workday low can quickly turn in to grumpiness and that’s not a feeling I like to have when I’m on vacation. Generally my cravings can be satisfied by just one bite though, which means I walk around with half eaten cookies or candy bars in my bag. In New York, everywhere I looked there were delicious little treats, so I kept buying whatever I thought looked good to save for when I had a hankering. 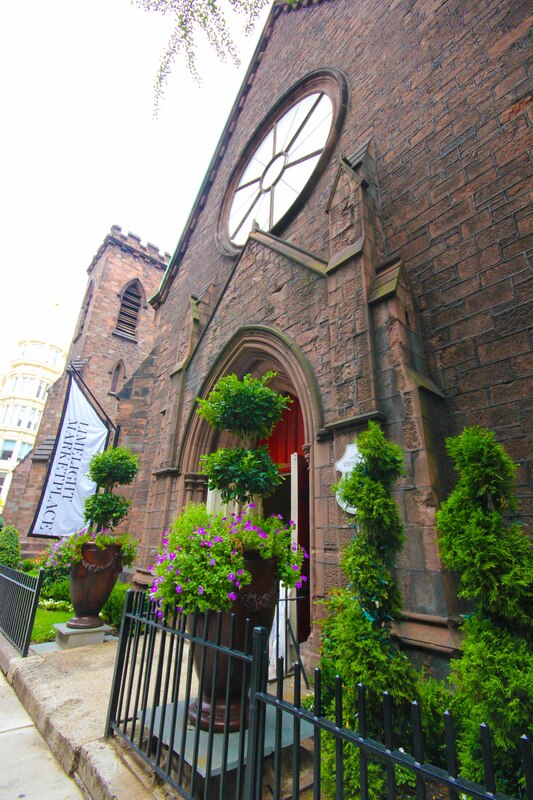 I stumbled upon the Limelight Marketplace, which was originally a church, then nightclub and now a funky space with cool little shops. So new, not all the spaces are leased out yet. But there was an area called the Sweet Room which had beautiful treats that held my interest for quite a while. 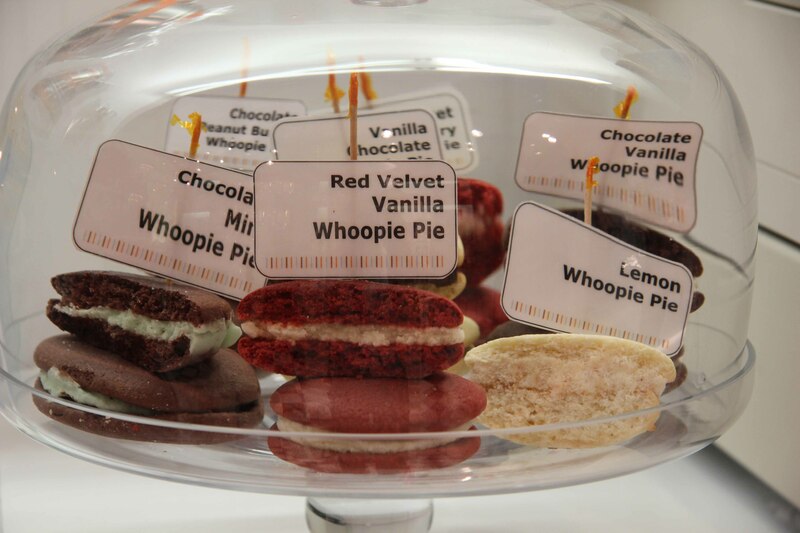 Whoopie Pies – I cant believe Ive never had one before because its just my thing. Chocolate cake-like cookies and icing. I wish I bought more than 1! 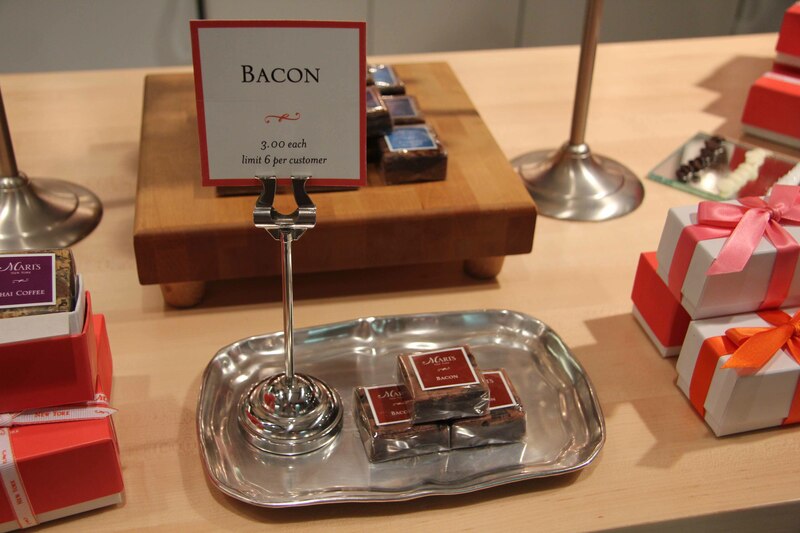 Bacon in a brownie? Yes.. and it belongs there. 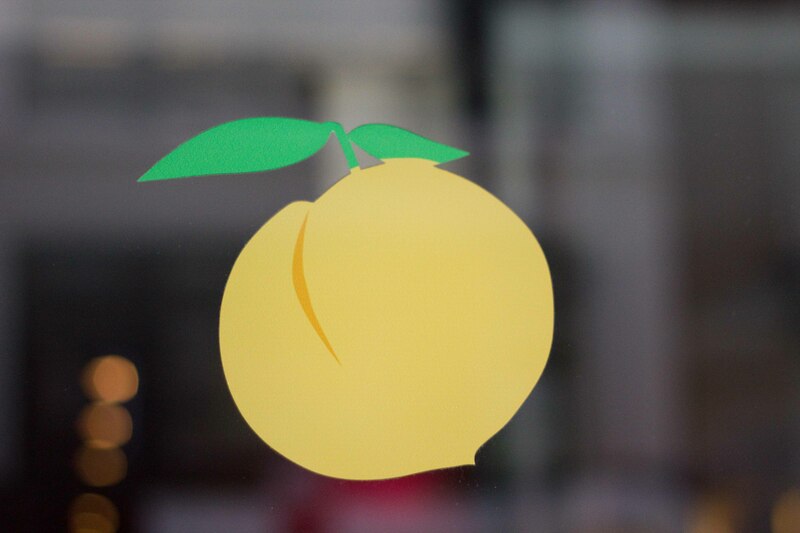 I’ve really wanted to check out David Chang’s Momofuku empire, but the reservation system, or lack thereof has scared me off. 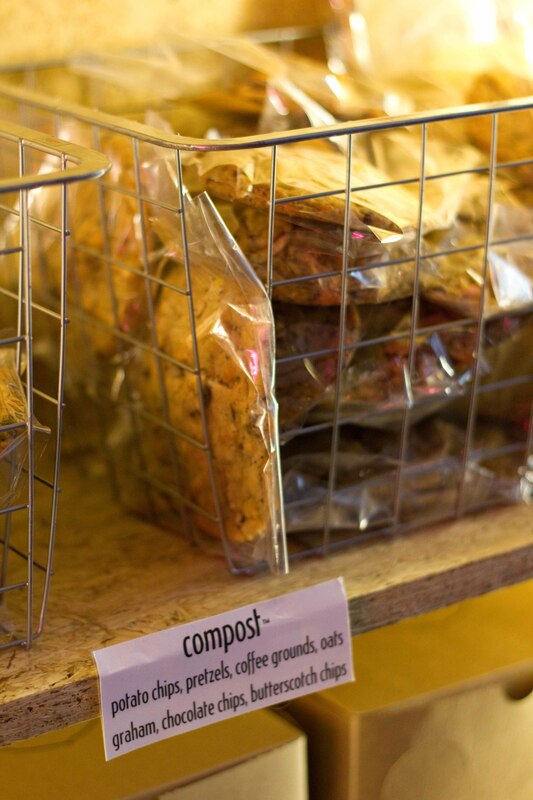 I did visit his Milk Bar and bought a few cookies to keep in my bag as emergency rations. I think this was the door to Ma Peche and not the Milk Bar, but close enough. I think this would normally be referred to as a sh*t mix but a true testament to ” the more the better” school of thought. This cookie was moist, crunchy sweet and salty. I found this cookie completely crumbled in my bag, days after I returned home. I ate it anyways and was happy I did. 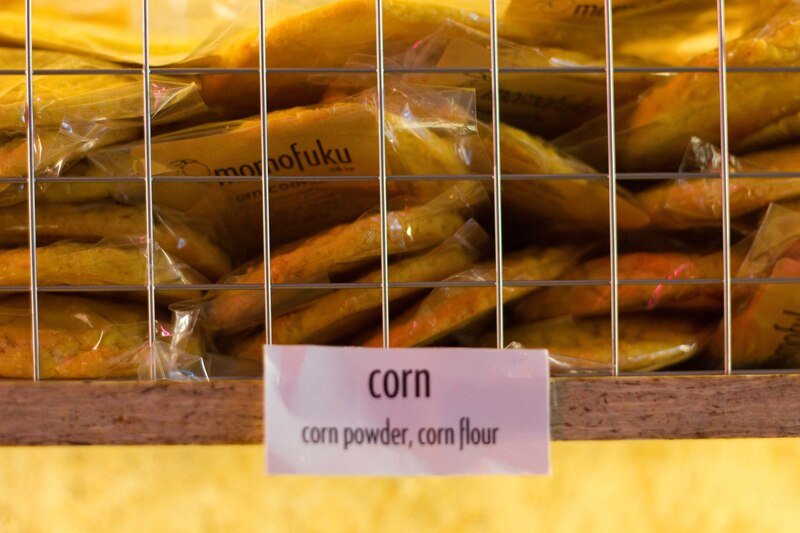 This sweet corn cookie was a bright bit of sunshine. We hit the Chelsea Market on a rainy Sunday morning. As much as I love food and food markets, I was feeling the Chelsea Market was a bit “sanitized” for my food market tastes. Or perhaps I was just bitter that I couldn’t experience every stall. It was a pretty fantastic food destination, even though it was busy, but there were high-end bakeries, cheese stalls, meat stalls, fish mongers. 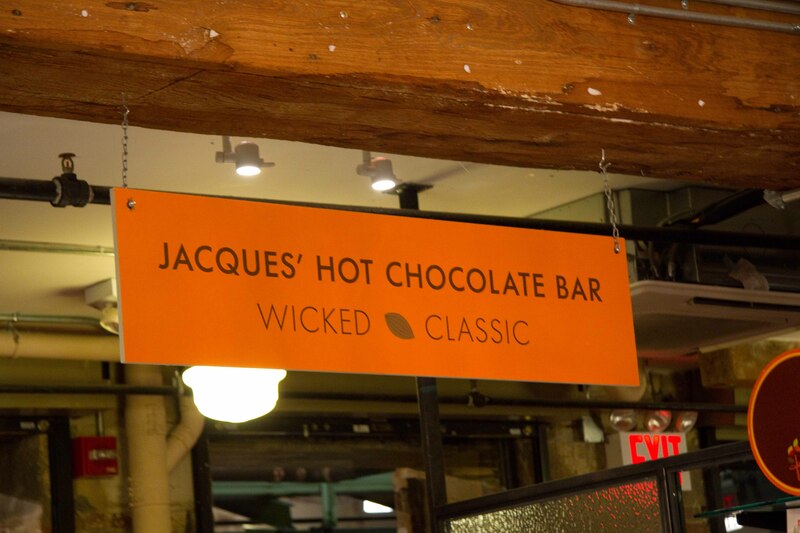 I ended up Jacques Torres’ chocolate bar. I was curious because I walked by one in Brooklyn which was packed on a Saturday afternoon. This caught my eye because I walked by one in Brooklyn which was packed. 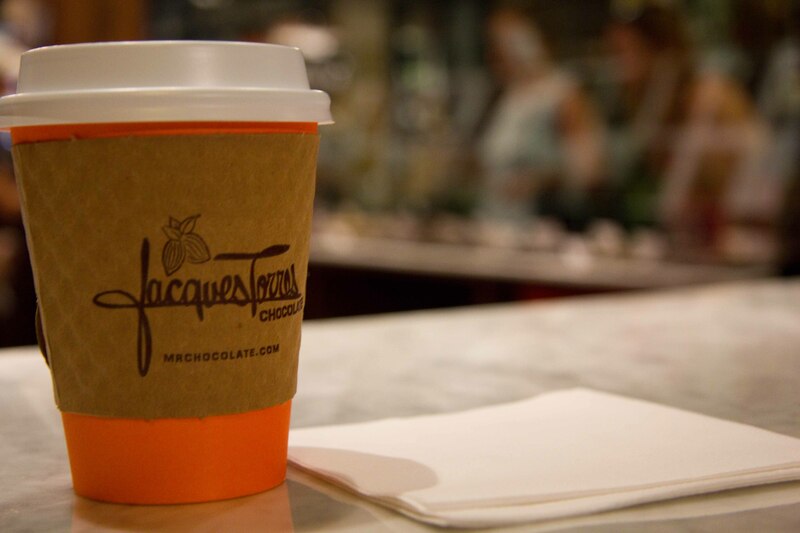 A wicked mocha – with allspice, cinnamon, Ground Sweet Ancho Chili Peppers and Smoked Ground Chipotle Chili Peppers. A bit too sweet for my liking, although the chipotle added a great kick. 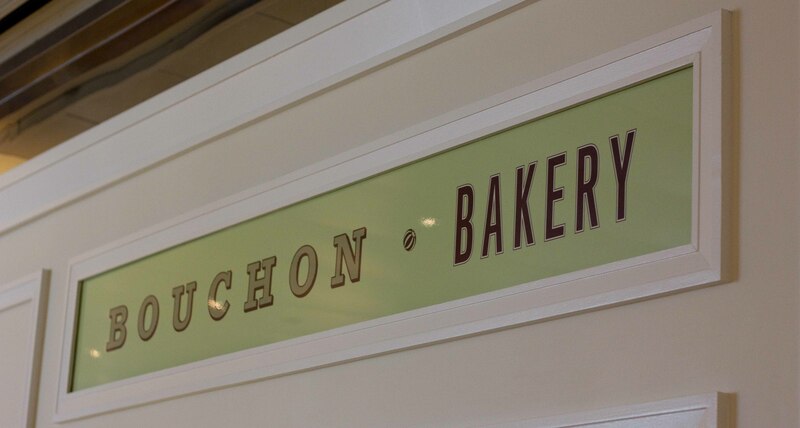 There was a Bouchon Bakery conveniently located too conveniently across the street from my hotel. I got to sample numerous treats during my stay. Nutter Butter- 2 tender peanut butter cookies with fluffy peanut butter filling. 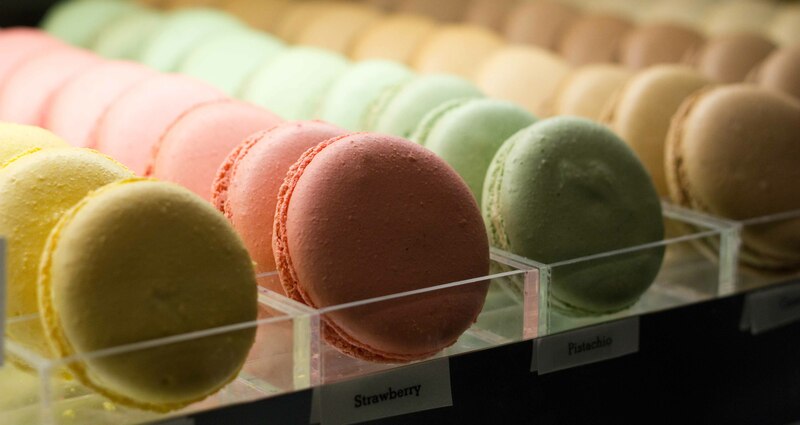 Macarons are my most favorite “cookie” and I believe the Bouchon ones are perfect. Im sure there are others out there that may be better, but I have never had them. Light, crisp, chewy and creamy and all flavours completely delicious. I also had the TKO cookie, Bouchon’s version of an oreo. No photo though, because I ate it so quickly. Everywhere I looked there were delicious treats. It was hard not to want to buy everything that looked good. But I guess the things I missed, along with so many other things will just have to be added back on to my list for when I return.